When I was in MD, I caught this major case of PJism after I got of the plane, most likely from jitters, or having to sit still for that long. I was on a mission for something new as soon as I landed. Luckily, I had to go to Target to buy Bacardi food – excuse! 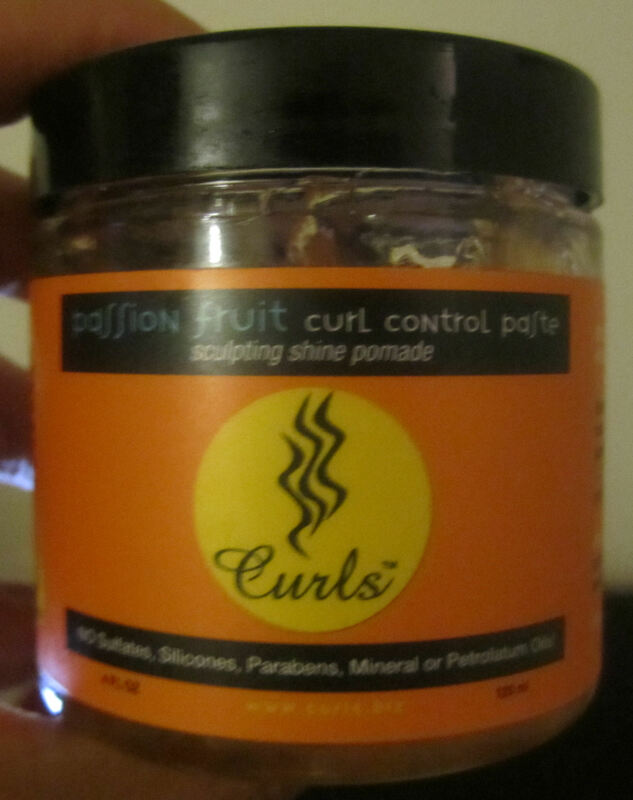 Just as I started to pick up some Miss Jessie’s (cat hiss), I saw two new Curls products on the shelf! There was an oil and a pomade type product…when I picked up the jar of pomade, it “boinged” (you know, like JAM). It was instantly love. 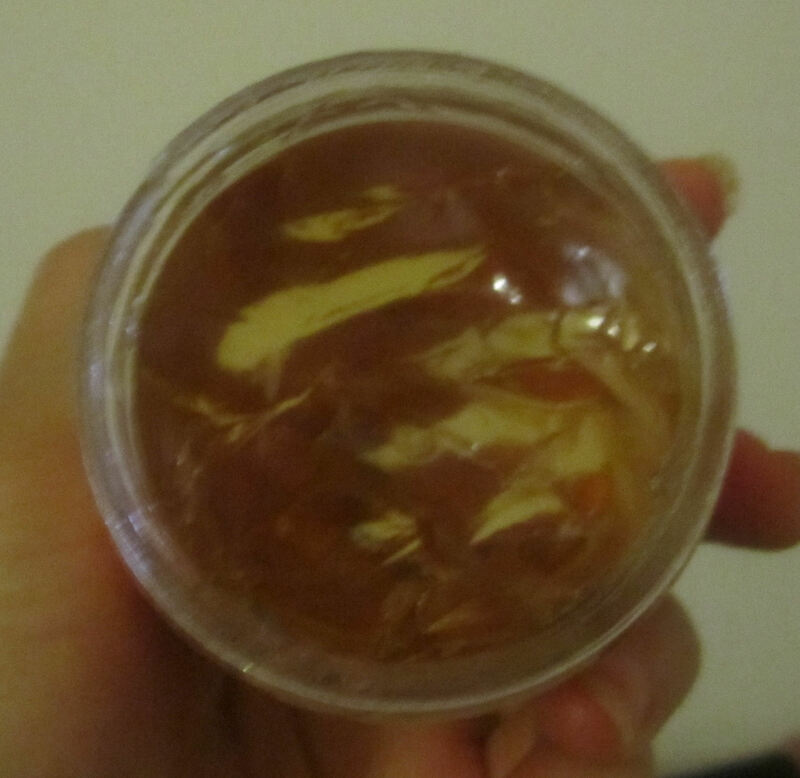 The Texture: Basically, it’s like a thick clear pomade…basically, it’s just like JAM! JAM with natural ingredients, yay! The Smell: Very fruity, I really like it. It was yummy! Sorta like….fruit and vanilla. What it Claims to Do: Slick down edges, tame frizzy curls, add shine. What I Thought: The first time I used this stuff, I used it over my Ouidad Climate Control gel, which is known to give a bit of crunch. Result? My hair was super soft, and although the gel already had tamed my frizz, this did not frizz my hair out, and it went on totally clear. This was totally awesome, because I love how pomade tame frizzies, but they often make my wet hair white. Then, I used it on top of Mixed Chicks (which we all know I’m not a fan of). While I still wasn’t wowed, it did help add moisture and tame some frizz I was still having with MC alone. I will say, I definitely like it on wet hair rather than dry…when I applied it to my dry hair, there didn’t seem to be enough moisture and made my hair kind of stiff – it’s definitely like paste! Overall, I have to say that I really like this product, especially if I know that a gel is going to make my hair crunchy, and I can prevent that ahead of time! Will I Buy it Again? I’m not sure yet. While I enjoyed the product’s performance, as Izzy grows, I am trying to find stylers that have a softer hold anyway – you can’t really tell when a TWA has a lot of hold…actual hair hanging down, you can definitely tell! Stiff hair…ehhh me no likey! I’ve been experimenting with some curl cremes to use instead of gel. But, it definitely does what it says it’s going to. Bravo, Curls! I LOVE this paste!!!!!! I will definitely get it again and again. It saves me so much time when I want to wear my hair in a pony tail or slicked back and tamed. Now if your wearing your hair down and flow y you should use just a little on fly aways and edges because it will slick it down!!!!!!! I love this product. I have a texturizer and have tried every texturizer / curl product and this is the best. I love the smell , the shine, and the way it controls the hair. Read your review and was curious because I had a texturizer put in, in March/2011. I have only touched up my edges. I have 4a hair and I have been just doing the double flat twists. Did the passion fruit control paste moisturize, and hold the hair in place? And did it give you any sheen? I’m trying to find something that I can use on double flat twists and double strand twists that will give me shine and definition with hold for days with out build up, and without breaking my purse. LOOOOOOOOVe the way this stuff smells!!!!!!!!! I bought this and Kimble Bounceback Curl Revitalizer. The Kimble BBCR is a thumbs down and will be going back to Target. I really wanted to like it but Yves does not like it….at all….well, I think some of her doesn’t really mind it and some of her hates it. lol. So it’s an overall no. sounds yummy 🙂 a curl styling hold creme that I like is the blended beauty curl styling butter. very sweet frosting smell, good definition with twist outs and stuff when I use it. Omg…I had a love affair with Target over the weekend too! I went in for curtains and ended up near the hair products of course. I saw that pomade by Curls, but ignored it, thinking I have no reason for a pomade now that my hair is longer (bought the protective mist by Taliah Waiijad). Good idea to use the pomade to get the crunch out. Thanks for the review!